Enrolment Fee: Rs. 5,000/- (One time) for all courses except ANM, GNM, DMLT, DXRT, D.Optom. BTC and Rs. 1,000/- for B.A. & M.A. Jainology. Other Fee: Each student in the final year of the program shall be required to pay a nominal amount of Rs. 2,000/- towards the Convocation charges and Rs. 500/- towards Alumni charges along with the final year fee. Note: Foreign Students (other than from Nepal & Bhutan) shall pay the above fee in equivalent US dollars through bank transfer. 1. No refund of fee is permitted on account of withdrawal or absence from the college or other reasons once a student is admitted to a program of study. 2. Registration fee is non-refundable and is only adjusted in the program fee, if student is admitted. 3. Any student who withdraws from the program after the date of commencement of classes shall be required to pay the program fee payable for the remaining period of the program as well. Teerthanker Mahaveer Medical College and Research Center was established in 2008 with the approval of the Ministry of Health and Family Welfare. For an admission intake of 100 MBBS students, which has been increased to 150 seats from 2014-15. It conducts Post Graduate degree (MD) in Pre and Para Clinical subjects of Anatomy, Physiology, Biochemistry, Pathology, Microbiology, Forensic Sciences, Community Medicine and Pharmacology approved by the Medical Council of India.The Medical Council of India has approved MD/MS in Medicine, Psychiatry, Dermatology, Surgery, Radiology, Anesthesiology, Pediatrics, ENT and Ophthalmology and in Orthopedics, OBG and TB & Chest. The college has started three-year post graduate program in M.Sc. Medical (Anatomy, Physiology, Biochemistry, Pharmacology and Microbiology) from 2009 to augment the availability of qualified teachers in Pre and Para Clinical subjects. Ph.D. program in these subjects has commenced from 2013-14. Hospital facilities of the Medical College and Research Center provide modern health care including critical care and emergency services to the population at large. In a short span of time, the hospital has developed into 900-bed tertiary care hospital with facilities to save lives. A casualty section and an intensive care unit with various sub-specialities like ICCU, ICU, RICU, NICU, PICU, Obstetrics and Gynecology, and Burn treatment have been added. Department of General Surgery provides facilities for Endoscopic Studies and Surgeries. Department of Medicine facilitates Echocardiography, TMT and Cath lab. The hospital is also equipped with facilities for Pediatric Surgery, Neuro Surgery, Urology, Cardiology and cardiac surgery (Mitral Valve replacement by open heart Surgery with invasive & non-invasive procedures), G I . Surgery, Reconstructive Surgery, Joint Replacement Surgery, Cancer detection, Sterility Clinic etc. Department of Radiology provides Fluoroscopy and facilities for Ultrasound and Color Doppler Studies, Digital X-Rays with an image intensifier, CT scan, MRI and Mammography. The hospital has well equipped modern operation theaters for General Surgery, Orthopedics, Ophthalmology, ENT and Obstetrics and Gynecology besides one for emergency services. Central Laboratory services are available for Pathological, Clinical Biochemistry and Microbiology investigations. Lecture theaters and demonstration rooms are well equipped with audiovisual aids. In addition, computerized animal experimental exercises are used in Pharmacology so as to save animal life. Workshops and conferences are organized on important and current issues from time to time. Teerthanker Mahaveer University (TMU), Moradabad is a Jain Minority State Private University that was established in the year of 2008. It is formed by an ‘Act’ of the Government of Uttar Pradesh. TMU is approved by the University Grants Commission (UGC). The medical programme of the university is approved by MCI and dental programme is approved by DCI. This university also offers law courses which are approved by BCI (Bar Council of India). The College of Agriculture Sciences offers Undergraduate courses in the field of agriculture. The university has a state-of-art infrastructure that is spread in an area of 150 acres of land. TMU is located National Highway-24, Moradabad, Uttar Pradesh. 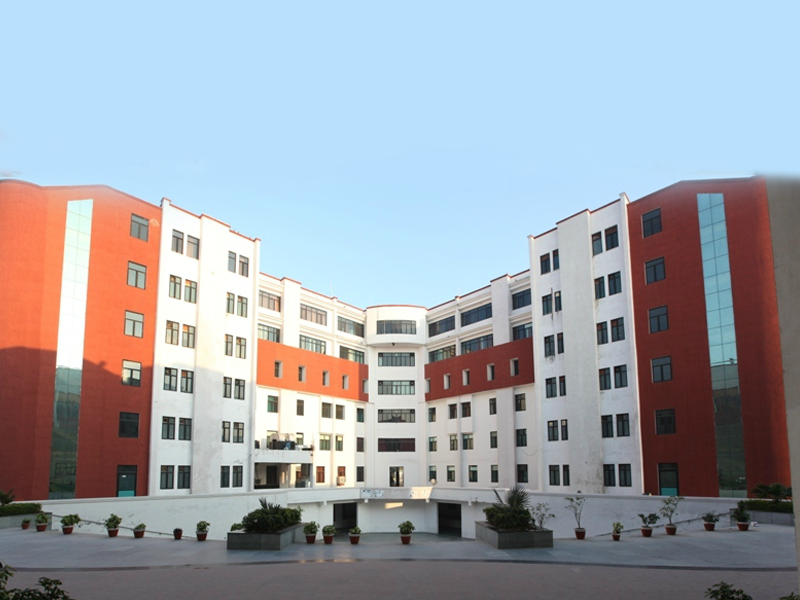 The campus is constructed in an area of more than 5, 11, 00 sq.mt. The TMU has separate hostels for men and women within the campus. The hostel accommodates more than 4600 students with modern kitchens and spacious dining rooms. There is a well-stocked library for each college having rich collection of books on different subjects. The library also has a research journals, magazines, periodicals, reports, projects and newspapers. The college has an ultra-modern air-conditioned auditorium with a seating capacity of 550 students. Other facilities that are provided by the college are indoor and outdoor sports, air-conditioned fitness centre, canteen, and banking. Teerthankar Mahaveer Medical College Moradabad, Uttar Pradesh. MBBS 150 Seats. The Medical College is a private medical institution in Moradabad, Uttar Pradesh offering MBBS. The college came into existence in the year 2008 and is managed by a trust. The affiliation of this institution is to Teerhankar Mahaveer University, Moradabad. MBBS Courses – Teerthankar Mahaveer Medical College, Moradabad, Uttar Pradesh undertakes the teaching and training of students for under-graduate course of MBBS. The medical college and the medical courses are recognized by Medical Council of India. The brief details are given below for the aspirants looking for admission in the Medical College in Moradabad, Uttar Pradesh. The details include contact details, facilities, year of establishment, recognition, accreditation, etc. MBBS Seats 150 Seats. MBBS Admissions in Teerthankar Mahaveer Medical College Moradabad are through Competitive Entrance Examination in Uttar Pradesh. PG Specialization of 34 different courses for 106 seats is available in Mahatma Gandhi Medical College & Research Institute, Puducherry. Admissions are based on the competitive entrance examination conducted by NEET. Admission in PG Course – For getting admission into PG Diploma, MD, MS Courses in the medical institution, the MBBS graduates have to qualify Common Entrance Test – conducted by NEET.